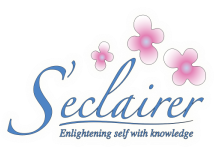 S’eclairer is an Integrative Psychiatric Medical Practice that recognizes the interplay of biological, psychological, social, and spiritual processes in psychiatric disorders as well as medical conditions. Science-based complementary treatments that promote the innate healing process in the body and mind are integrated in the medical course of treatment for these disorders. Our healthcare library is broad-based and integrative. Every month a science-based reference will be posted followed by an interactive discussion about its content. Medline.gov from the National Library of Medicine and the National Institutes of Health (NIH) is an authoritative source for reliable, unbiased information on medication and illnesses. You will find valuable information on all psychotropic and nonpsychotropic medications and most common psychiatric disorders, including information in Spanish. Fingertipformulary.com, a free and user-friendly site, allows you to select a medication, your patient’s state, and insurance plan to find out if the drug will be covered. Needymeds.org is a nonprofit resource center of patient assistance programs (PAP) administered by pharmaceutical companies for individuals who cannot afford their medications. The site links to these programs’ Web sites, application forms, and groups that can help patients fill out necessary paperwork. With this Web site, patients no longer have to request or retain PAP paperwork. Enter a drug name into the search box at Epocrates.com to learn about possible drug interactions as well as dosing information, contraindications, black-box warnings, and adverse effects, This free, continually updated Web site is invaluable when treating patients who take a large number or medication. The National Institute on Drug Abuse’s drugabuse.gov provides information about substance abuse for clinicians, patients, parents, and teachers. In addition, the site features new research findings, information in Spanish, and links related to substance abuse. Click on the link for parents and teachers to access a searchable index of substance abuse treatment facilities, with information about insurance plans accepted, available treatments, and contact information. Visit the pharmacy section of costco.com to quickly check prices and out-of-pocket expenses, even if the patient does not buy medications from this retailer. Search by drug name to find out how much a formulation of a drug costs and if generic alternatives are available. Fox S. Online health search 2006. Washington, DC: Pew Internet & American Life Project. Available at http://www.pewinternet.org/pdfs/PIP_Online_Health_2006.pdf. Accessed July 29, 2008. Christensen H. Griffiths K. The Internet and mental health practice. Evid Based Ment Health 2003;6(3):66-9. Montgomery R. Are irreputable health sites hurting your patients? Current Psychiatry 2006;5(12):98-100. Mago R. Mahajan R Sciamanna C. 12 best Web sites for clinical needs Current Psychiatry 2008;7(11)47-48. "Healing the Healer: Compassion Fatigue"
"Irritable Bowel Syndrome: The Brain Gut Axis"
"Fibromyalgia; A Prisoner in your own body"
"Anti-Inflammatory May Benefit Treatment-Resistant Depression"
"Are Psychiatric Disorders Inflammatory-Based Conditions"
© 2018 S'eclairer. All Rights Reserved.